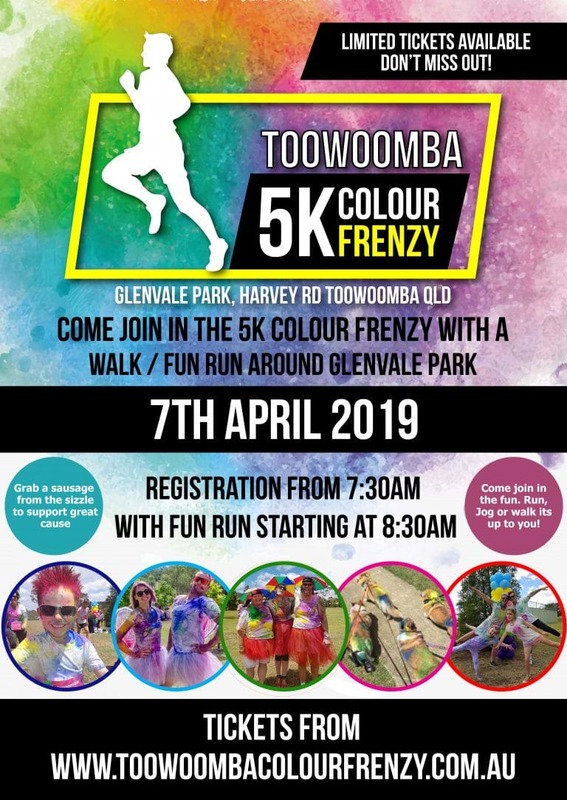 The Bi Annual Toowoomba 5k Colour Frenzy is Back! 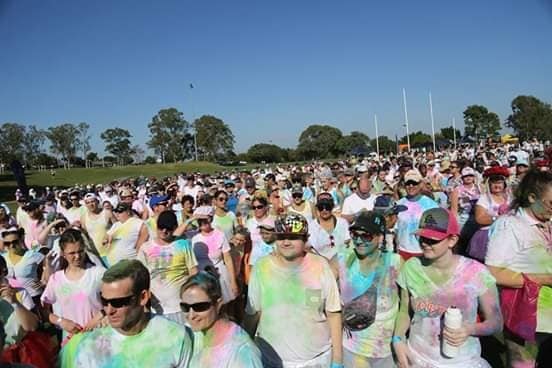 The Fun Run Race Pack collection is from 7:30am with the Wave 1 fun walk / run leaving the starting blocks at 8:30am. Collections also available on Saturday the 6th of April, the day before. 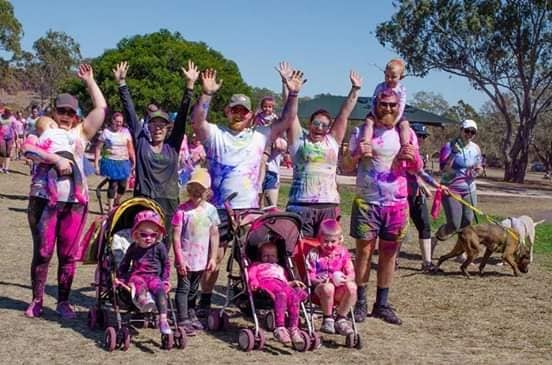 There is a 1km track marked out for everyone to follow with multiple colourful zones along the way. You can complete up to 5 laps. You can Walk, Jog, Run or a mix of it all. It’s completely self-paced and FUN! For more details on this great event head HERE.